When mobile device manufacturers adopt an operating system, the full potential of the device in not used and they set limitations over the functionality, for reasons like security and business interests. Similarly, phones that run Android have limitations too. To overcome this limitation and gain access to system level operations, you need certain privileges. 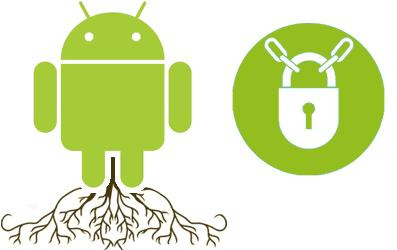 Since Android is a Linux based operating system, you need root password to gain control and the process of attaining these privileges is known as rooting. The legality of rooting has been a subject of debate and the American law clearly states that rooting is not illegal and neither is the unlocking of mobile phones to work with other operators. The process of rooting an Android device is fairly easy and once it is done you can install third party firmware and tweak pretty much everything there is to tweak. Initially when Android phones hit the market, rooting was only for the crazy brave and phony tough, but now, there are tool kits with graphical user interface that can root every single Android device out there. We are not going to discuss about the steps involved in rooting here and rather, we will look into the things that you need to consider before rooting your Android device. Although it is legal to root an Android phone or device, manufacturers do not appreciate it when you do it. If you go through the End User License Agreement, you will know if the manufacturer voids the warranty if you root it. You will have to realize that rooting is not a reversible process where you can restore the device. Once you root the Android device, the super user permissions are permanently saved. Before you download a rooting tool kit and start the process, take some time to know about the version of Android that your device runs. Each version of the mobile operating system has a different exploit method and you might run into the risk of bricking (rendering your phone or Android device unusable) and it is very hard or sometimes impossible to bring it back to life. Also, read the release statement that comes along with the rooting tool kit to make sure that your device is supported. Rooted Android devices in the past have been very unstable and crashed often. Moreover, since the root password is open, the chance of a security breach is possible and this brings financial applications and secure transactions to be generally avoided. This is possibly the most important aspect that you need to consider before rooting the Android device and it is the data that you have stored on the flash memory. Although there is a separate partition for the operating system, there are chances that the data on your phone will be wiped out. So back up all your contacts, calendars, appointments, reminders and pictures before you begin rooting the device. Before you begin rooting the Android device, these are the most important things that you need to consider.